How do I add Roll Call Attendance badges to an account? 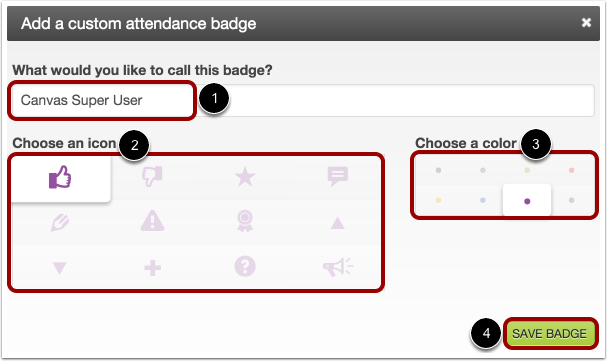 The Roll Call Attendance tool features badges that can be used to track particular behaviors or achievements among your students. You can create these badges at the account level and they will appear to instructors with courses within your account. Instructors can also create their own badges within their courses. 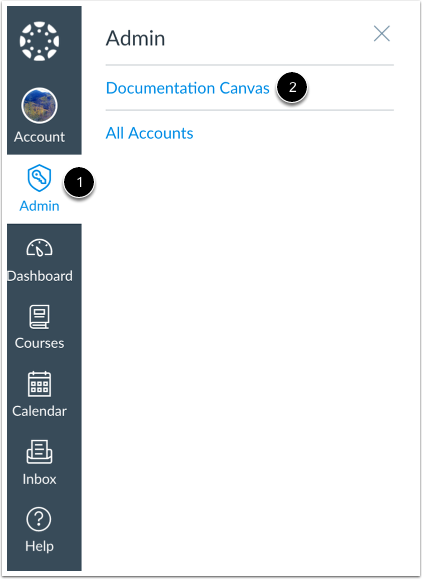 However, you can manage badges within a course at any time. 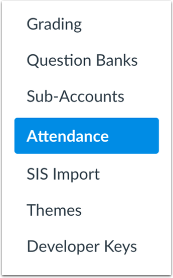 In Account Navigation, click the Attendance link. Click the Manage badges tab. Click the Add Badge button. Create a name for your badge , assign an icon , and choose a color to highlight the background when the badge is assigned . Click the Save Badge button . You can edit any badge you create for your account. To change the badge name, icon, or color, click the badge name . To delete a badge, click the Delete button . Deleting a badge will delete the badge for the entire course and all students. Note: When managing or editing badges, any changes made will affect the entire account. Previous Topic:How do I install PowerShell 3.0 on a Windows machine? Next Topic:How do I run Roll Call Attendance reports for an account? Table of Contents > Attendance (Roll Call) > How do I add Roll Call Attendance badges to an account?